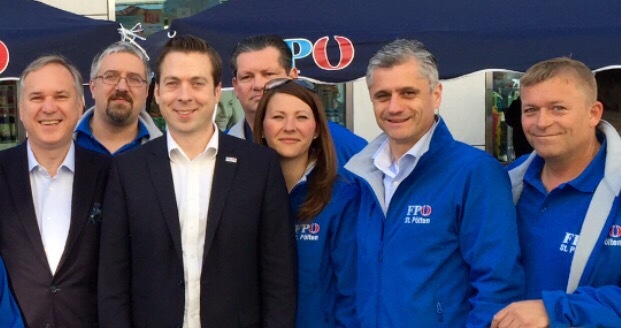 FPÖ St. Pölten mit +4% der große Wahlgewinner! Von 2700 auf 4200 Stimmen (+55%). Beste Ergebnis aller Zeiten mit 14,7%. 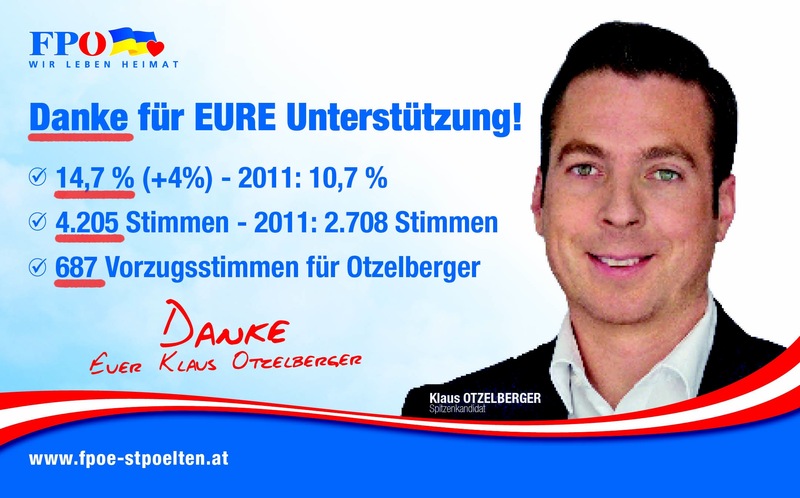 Wir danken allen, die unser FPÖ-Team unterstützt haben. This entry was posted on Montag, 18. April 2016 at 09:25 and is filed under Politik. You can follow any responses to this entry through the RSS 2.0 feed. You can leave a response, or trackback from your own site.